"Fronsen" is again one of those Dutch verbs that can only be used in conjunction with a specific body part, see also 30. Snuiten. The Dutch frown two parts of the body: 1. "de wenkbrauwen" ("the eyebrows") or 2. "het voorhoofd" ("the forehead"). The noun "frons" translates into "frown", the wrinkle on one’s forehead as a sign of being disgruntled or contemplating intensely. 1. "Toen de formule niet bleek de kloppen, fronste de professor zijn wenkbrauwen." 2. "Van veel fronsen, krijg je rimpels in je voorhoofd." ("Frowning a lot causes wrinkels in your forehead." 1. "Kraaiepootjes": translates to "crow’s feet". "Een goede dagcrème voorkomt kraaiepootjes op vroege leeftijd". "Het verdriet om zijn verloren liefde had grote wallen onder zijn ogen veroorzaakt". This entry was posted in Dutch word of the day, DWOTD 1.0, Vocabulary Basic and tagged fronsen, rimpels, voorhoofd, wenkbrauw by Dutch Gurus. Bookmark the permalink. 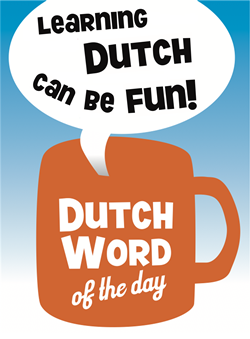 Very interesting and fun way to learn dutch words!! Why don’t they have inburgering cursus book in this kind of format. I am almost at the end of my inb’ing exam and i have learnt many new words/phrases from your website. Hi Rupal, your comment has completely made our day! Now we just hope one thing, and that is that you will not fail the exam because of us! 🙂 Please let us know how it went!